What desktop SLS 3D printers are available on the market? What is SLS (Selective Laser Sintering) technology? SLS 3D printing: what materials are available? SLS (Selective Laser Sintering) is a 3D printing technology that uses a laser beam to sinter powdered material. This technique enables the 3D printing of detailed, functional parts suited for professional and industrial use. A few years ago, SLS was exclusive to large, industrial-type additive manufacturing systems. Today, a new breed of SLS 3D printers has hit the market with lower prices and smaller formats, catering to small business professionals. Starting at around $7,000, today’s professional desktop SLS 3D printers are much more affordable than before (even if they don’t target consumers yet). They enable small businesses to access accurate and advanced in-house prototyping without implying long delays linked to external 3D printing services. These are the current solutions for affordable yet professional SLS 3D printing. *MSRP: manufacturer suggested retail price. These prices are subject to change. The Sinterit Lisa is one of the most affordable desktop SLS 3D printers on the market. Up until early 2014, Carl Deckard from Structured Polymers held a patent on selective laser sintering 3D printing technology. Selective Laser Sintering (SLS) is a powder bed fusion 3D printing technique that uses a laser to sinter powdered material. In other words, a powerful laser beam selectively melts and fuses tiny powder particles together. Once a layer is finished, more powder is rolled and spread onto the print bed. The process repeats itself layer after layer. 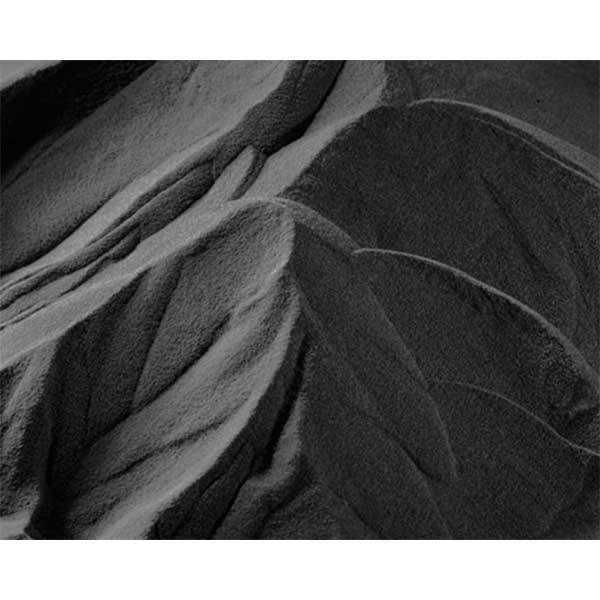 The excess powder stays in the powder bed, thus automatically providing support for the object and its intricacies. When the 3D printing process is finished and the powder bed has cooled down, the objects can be removed. Excess powder material is then to be brushed of manually to reveal the final part. The parts require little to no post-processing. Home SLS 3D printing: is it possible? At the moment, desktop SLS 3D printers cannot yet be considered home SLS 3D printers. 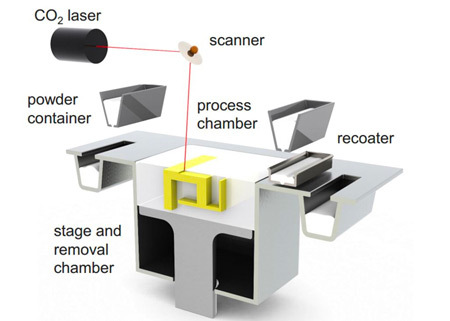 Since the machines use powder, it is better to have a specific, separate environment to use and store the SLS printer. They also use high-power laser beams that could cause physical harm to less-cautious users. The Sinterit Lisa is a plug-and-play desktop SLS 3D printer made by the Polish manufacturer Sinterit. It is one of the most affordable SLS 3D printers actually available on the market. This 3D printer offers a relatively large build volume for a desktop 3D printer, and even more so for an SLS 3D printer in this price range. With the Lisa it is possible to 3D print flexible material (Flexa Black/Grey) or rigid, strong material (PA12). The Sinterit Lisa features a built-in camera and touchscreen for an easier user experience. Sinterit also manufactures the Lisa 2 PRO, a bigger version of the Lisa. The Sintratec Kit started out as an Indiegogo crowdfunding campaign in 2014. 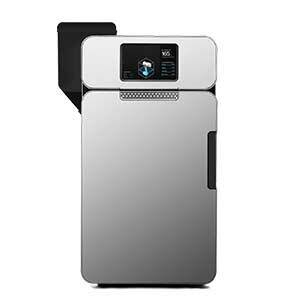 It is one of the most affordable SLS 3D printers available today. 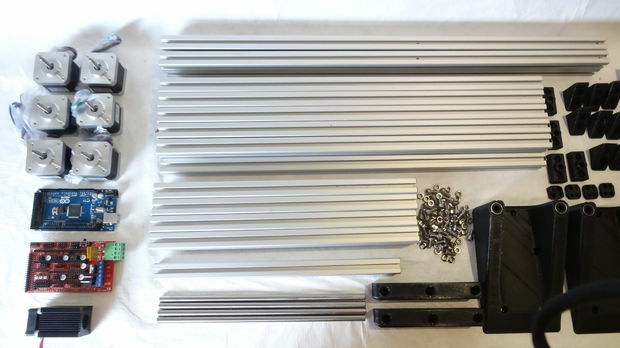 The Kit, as its name suggests, requires minimum assembly by its users before being ready to 3D print. 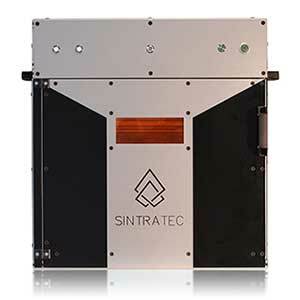 Sintratec also manufactures the Sintratec S1, another desktop SLS 3D printer (assembled). Formlabs, originally an SLA 3D printer manufacturer, introduced the Fuse 1: a SLS 3D printer to be released in Fall 2018. Due to its weight and dimensions, the Fuse 1 is considered as a benchtop 3D printer than a desktop 3D printer. A live-feed offers insight on 3D printing progress thanks to the Fuse 1’s integrated webcam. It is also possible to add parts to a build that has already started. The build chamber is removable, making parts removal easier. The VIT SLS offers a relatively large build volume compared to the other 3D printers in this range, allowing for even more parts to be 3D printed at once. A 7-inch touchscreen offers a friendly user experience, and Wi-Fi connectivity enables standalone 3D printing. Natural Robotics designs and manufactures its 3D printers in Barcelona, Spain. Users can 3D print with generic material thanks to a full access to system calibration, although the VIT SLS is optimized for PA12. 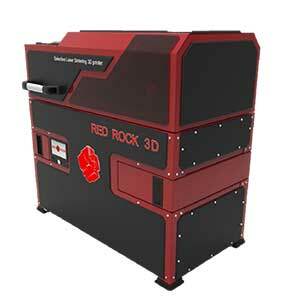 RED ROCK 3D is a new 3D printer manufacturer from Russia. Its RED ROCK SLS 3D printer offers a relatively large build volume compared to most of the other desktop SLS 3D printers in this selection. 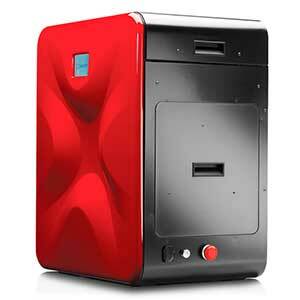 Not much information about this SLS 3D printer is available on the RED ROCK 3D website. Since unused powder remains in the powder bed, it naturally acts as support for the following sintered layers. This support, which is present all over, allows the 3D printing of very complex and/or functional parts and prototypes. It’s also possible to 3D print objects within objects, also known as nesting. This is not possible with other 3D printing technologies such as FFF and FDM (extrusion) or SLA and DLP (resins). It is possible to re-use powder that has not been sintered. This significantly reduces material waste and costs compared to other 3D printing techniques. Also, no material is wasted on support structures. Multiple layers of parts to be 3D printed with SLS technology. A functional, moving part 3D printed with the Sinterit Lisa SLS 3D printer. Porosity/rough surface: SLS 3D printed objects are porous, though it is possible to apply sealant to alter their sandy, granular-like surfaces. Expensive material: the price for one kilogram of PA12 powder ranges from around $55 to about $180. Logistics: due to the volatile nature of powder, extra caution is required when handling the material and taking the final 3D print out of the powder bed. In addition, desktop SLS 3D printers still have relatively broad dimensions (and weight)– they’re not like an inkjet paper printer that can casually sit next to a computer. They are more like “bench top” 3D printers that, ideally, need their own workspace. 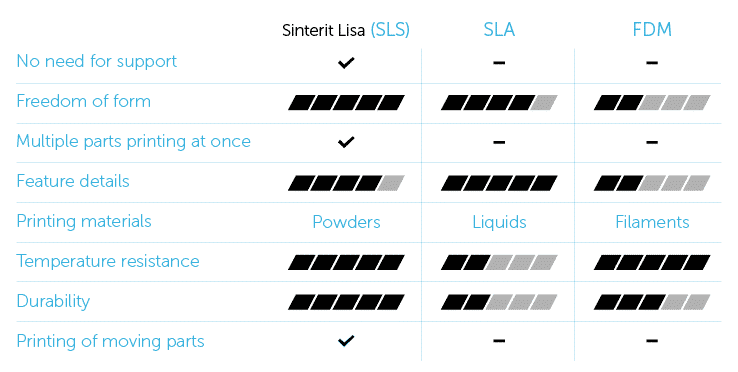 Sinterit’s 3D printing technologies comparison. However, Selective Laser Sintering 3D printers offer much less available choice for materials (and colors). That being said, SLA 3D prints have smoother surfaces than SLS 3D prints. There is also PEBA 2031, a flexible, rubbery and resistant plastic powder. Some manufacturers produce elastic TPU powders (such as Sinterit’s Flexa Black and Flexa Grey) to 3D print shock absorbers, clothing parts, bellows, etc. Lightweight: Polyamide is a lightweight 3D printing material. Robust: this material can bear loads or be used for mechanical parts. Flexible: Nylon can bend and come back to its original form. Resistance: PA offers good heat and chemical resistance. Manufacturers generally sell their own, branded powder material. Polyforge is planning to launch their new affordable desktop SLS 3D printer on Indiegogo soon. The machine’s price has not yet been determined, but it will be somewhere between $10K and $20K. It features a 195 mm x 195 mm x 195 mm build volume and a safety system preventing the laser from working while the printer is open. In addition, Polyforge SLS 3D printer users will be able to use a variety of materials. 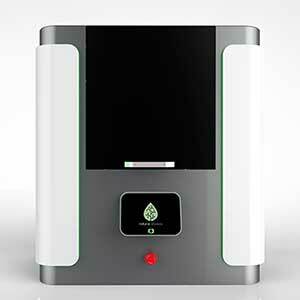 The SnowWhite is a desktop SLS 3D printer from the well-known Italian manufacturer Sharebot. This 3D printer has been on the market for a few years now, and is at a higher price level (€35K) than today’s desktop SLS 3D printers. 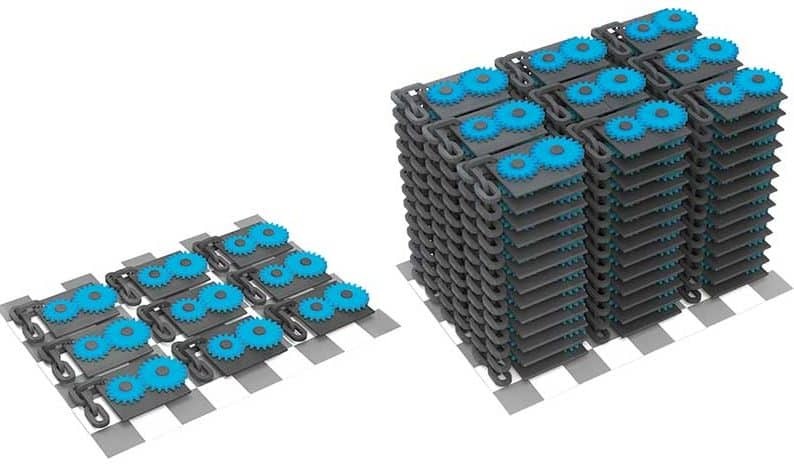 Also, it offers a smaller build volume of 100 x 100 x 100 mm, but tolerates generic material. These two desktop SLS 3D printers are from the Italian manufacturer Norge. The company was acquired by Prodways in 2015. Since then, the Norge Ice evolved into the Prodways P1000, a bigger, industrial SLS 3D printer. 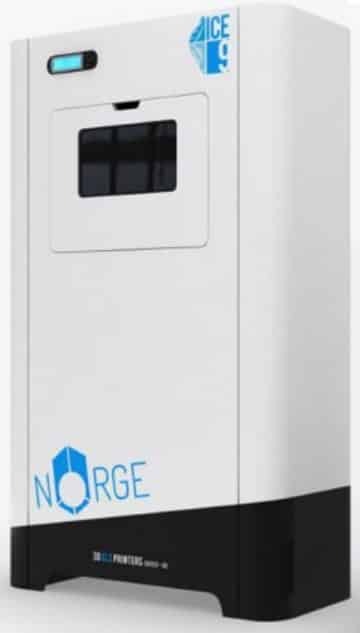 The Norge Ice9 SLS 3D printer. For those who like to make things from scratch, there are a few sources of information and instructions. The process is definitely not as easy as for FFF 3D printer kits, but it’s doable with patience and special precaution. Indeed, laser sintering implies the use of high-power laser beams that can cause irreversible, physical harm. A 17-year-old German student created his own desktop SLS 3D printer– and the instructions are available online. However, this isn’t a project that one can take up over just one week-end. It requires a lot of time, effort and caution. Just as for FFF 3D printers, there is an open source, online page for an SLS 3D printer project on the RepRap website called OpenSLS. The project is under development at Rice University (Houston, Texas) in Dr. Jordan Miller’s Physiologic Systems and Advanced Materials Laboratory. At 18 years old, Lukas Hoppe built his own $2K DIY SLS 3D printer with the help of crowdsourced funds from Indiegogo. His goal was to provide open-source files for everyone, but to this day no You-SLS 3D printer open files are available. This article reflects the desktop SLS 3D printer market as of October 2017. These machines are part of a relatively new breed of 3D printers, and they still need to prove themselves. SLS technology isn’t truly available for the general public yet, but surely over the next few years more consumer-friendly versions will be developed. For now, these are great solutions for small businesses that need quick and precise prototyping without going through external 3D printing services. Check out our selection of the 10 best 3D printers.